Two people, who between them have nearly a century of parish service will be recognised by the people of the community on Saturday night next 29th November. The pair in question are Sheila Foley of Parkmore and Mick Larkin of Carrick Road. Both recently retired from Mullinahone Community Council. Sheila has at least two lifetimes of parish service behind her. Back in the 1960’s, she was responsible for setting up Macra na Tuaithe in Mullinahone and this organisation or Foróige as it came to be called, instilled a tradition of community service in a generation of Mullinahone young people. Sheila then became Chairperson of the Community Council looking after the parish at large. She has also been the driving force behind the Kickham Country Weekend which began in 1983 and is still going strong. Mick Larkin was Chairman of Mullinahone Community Council back in the early 1980’s, as Mullinahone prepared for the Kickham Centenary in 1982. 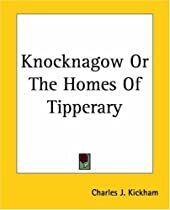 He has been the parish historian for many years and published the excellent Mullinahone Heritage and History in 2002. For 25 years he was responsible for bringing out the annual Mullinahone Magazine. Another excellent Larkin publication was Mullinahone’s Burial Grounds. Of course, both Sheila and Mick received outstanding support from their respective spouses, the late Denis Foley RIP and Nora Larkin. The contributions of both Sheila and Mick will be marked at Mass in St. Michael’s Church on this Saturday night at 8pm and at a public function in the Knocknagow Community Centre after Mass to which all members of the community are invited. On behalf of Mullinahone, to the Foley and Larkin families we say in “Mile Buiochas”. Last weekend was a good one for GAA in the parish with Saturday being a very good day. The Lady Minor Footballers travelled to Bansha to take on the locals in the Shield Final. At full time the sides were deadlocked – Mullinahone 3-07 Bansha 2-10. In extra time, the Mullinahone ladies outscored the home side 0-05 to 0-02, leaving Mullinahone the winners by 3-12 to 2-12. Well done ladies. In Monroe our minor hurlers were in action in a championship quarter final against a combination of Cahir and Burncourt/Clogheen. The side were behind for much of the game, but in an exciting finish they got some brilliant scores to come from behind and win 2-13 to 2-11. They have now qualified for the semi-final in which they will face Ballyneale. Well done lads. The icing on the cake came on Sunday afternoon when our Intermediate footballers again confounded the critics when they defeated Fr. Sheehys in the South Tipp semi final in Clonmel. The margin of victory was small, only a point, 0-10 to 0-09, but we are now in the South final against neighbours Grangemockler and also in the county quarter final. This is a fine achievement for the small panel of players and the people who have struggled through the year to keep the team going. The team has had an infusion of spirit in recent weeks, much of it possibly due to the coaching put in by Franny Kelly who has a record of supporting Mullinahone teams in the past. Many still remember the run to the Munster football final in 2011. While our lads will be outsiders against Grangemockler, the game will still be a local derby and any result is possible. A Christmas Fair in aid of Carlow/Kilkenny homecare and Temple Street Childrens Hospital will take place at Ballylanigan House, Mullinahone on Saturday week, December 6th from 10am to 6pm and on Sunday week, December 7th from 10am to 5pm. Christmas gifts on offer include Christmas cards, wooden toys, natural health products, silk clothing, jams and wines. This is an excellent opportunity to do some early Christmas shopping. Free entry, tea and coffee. Your support would be greatly appreciated. Enquiries to 087-2929449. The Juvenile GAA Annual General Meeting has been deferred to Thursday 4th December at 8.30pm. Don’t forget to put the Christmas Carol service in your diary for Sunday 14th December at 7pm. Christmas dinner for the Ladies Club will take place in Hotel Manilla on the 20th December. Please note change of date. Dancing to Keith McDonald. Deposits please to Ann or Helan asap. The last local lotto jackpot draw took place on Monday 10th November. The numbers drawn were 13,15,18 and 21. There was no jackpot winner, but we had one Match 3 winner. Congratulations to the Kerryman, who won €150. Jackpot next week could be worth €8,650. A Community Meeting will take place on Tuesday night next 2nd December in the Community Centre. All are welcome to attend. The 4th Community Draw will take place on the night. Following last weeks request some progress has been made. Can you add another bit? A Christmas gift, perhaps a Mullinahone person living away from the parish might appreciate a copy of 130 odd years of local history if they got a copy of the local GAA History for Christmas. As Winter closes in with darkness and fog, all walkers on our roads are encouraged to wear high viz jackets. Do allow motorists to see you.